Barrie Farrell ~ 1968. 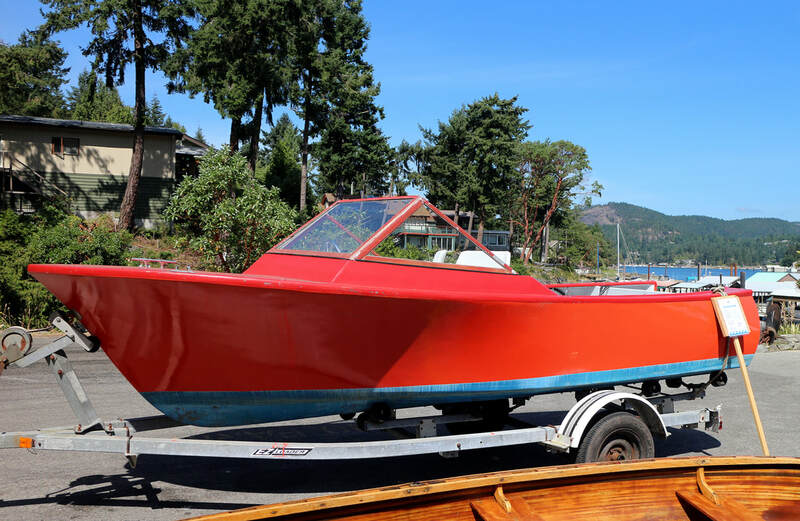 Built for Frank Beal from Egmont. Either Frank or someone else built the deck on her. Barrie built the boat in the big A-frame building that Vic Gooldrup had behind our very own Garden Bay Pub. 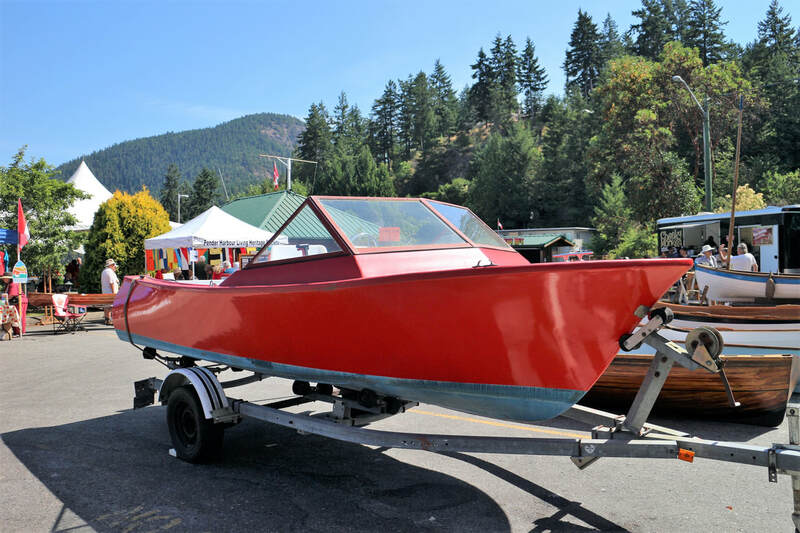 Barrie built a 16’ fiberglass over plywood boat for himself and later took a mold off of it to build this and several others like it. His many boats were recognized for their gracefully flared bows. Barrie has built over 300 boats. 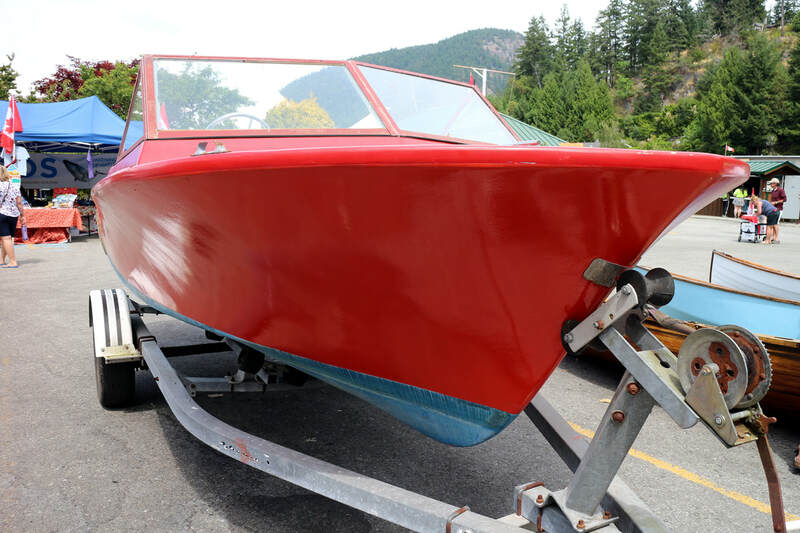 The early use of fiberglass made his boats faster and his fishing boats dominated the B.C. salmon fleet in the 1970s and 1980s. 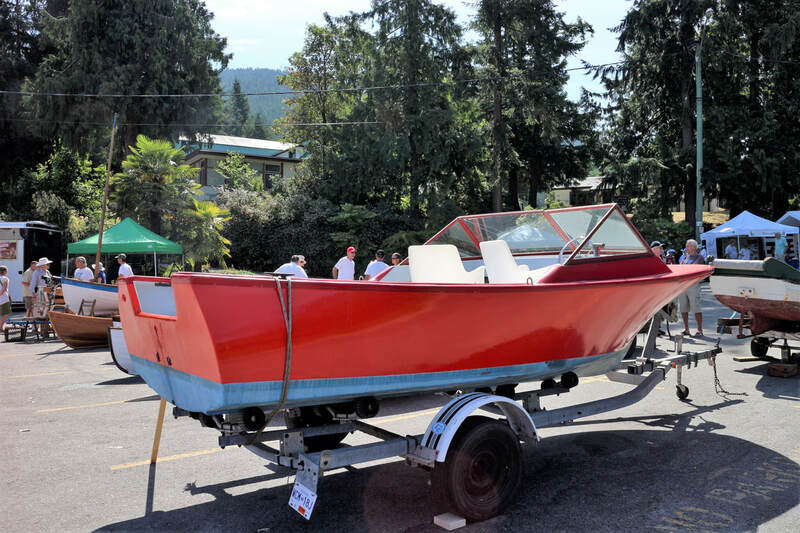 Visit our Digital Collection to see archival photos of more boats built by Barrie Farrell and his father Allen Farrell.